Seattle Children’s Museum offers a series of programs that provide free or reduced admission for families at-risk or in-need who could not otherwise afford to come and play. Through the following Passport 2 Play programs and our commitment to the Museums for All initiative, the Museum offers options to enter the museum at a reduced rate with various medical cards and a donation only hour during the last hour of every weekday. Additionally, the Museum collaborates with community agencies in King, Pierce, and Snohomish counties to distribute free admission coupons and provide scholarships for group visits. Through the following programs, the Museum provides over $160,000 in free services each year. As a non-profit organization, these programs would not be possible without our generous donors, including the City of Seattle and the attendees of our annual Fall Breakfast. Show this card and a valid photo ID at the box office to receive $2.00 per person daily admission. As part of our commitment to Museums for All, we now invite EBT cardholders from any US state to utilize this benefit for reduced admission of up to 4 people. 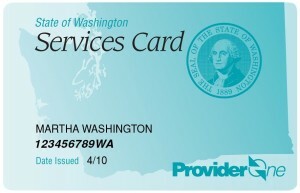 Show your DSHS Services Card to receive $2 admission for the individual who is named on the card (Washington Residents Only). Adults must have matching Photo ID. 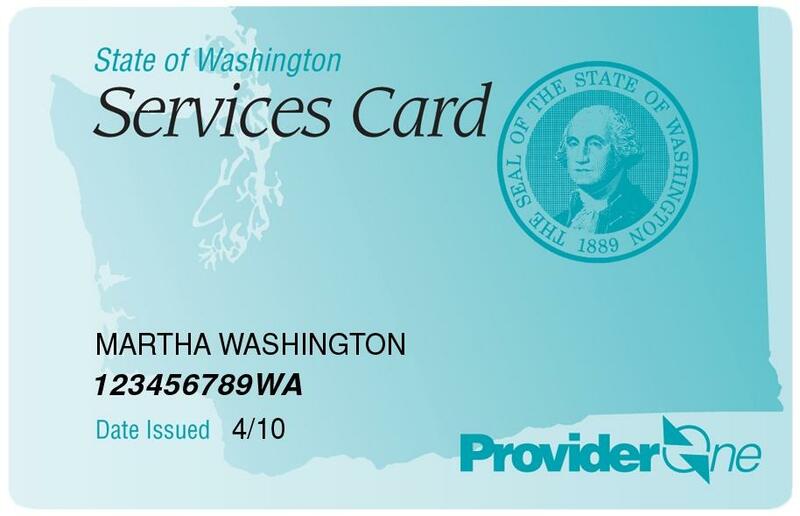 Please note that due to the regulations for this program, we can only accept the ProviderOne Services Card pictured below- not letters, forms, or other types of insurance identification cards. The last hour of every day we offer admission for $5 per person. Seattle Children’s Museum partners with community agencies throughout King, Snohomish, Pierce and Kitsap Counties to provide free-admission coupons to families in need. Through the free-admission coupon program, community partner organizations are provided custom coupons for distribution that can be redeemed at the Museum box office. Organizations that serve at-risk or in-need children can apply for subsidized admission to help with the overall cost of your visit. We offer partial, $4.50 per child, and full for qualifying agencies based on availability and funding. We are unable to provide sponsored admission for adults and chaperones who are required to pay our $9 group admission rate. NOTE: the number of subsidized admissions each month is limited. What is Passport 2 Play? Passport 2 Play is a series of programs that offer free or reduced admission to families who could not otherwise afford to visit the Museum. The program is supported by the generosity of the City of Seattle as well as the attendees of our annual Fall Breakfast fundraiser. What is a Passport 2 Play Community Partner organization? Passport 2 Play Community Partner organizations are organizations that serve at-risk or in need families inside of King, Snohomish or Pierce Counties. They care about the families of our community and understand the importance of children and caregivers playing and learning together. They are also organizations who understand that we are a non-profit organization and need their help in managing this program. They help us out by selecting recipients for free admission coupons which helps families get to the Museum. How do we become a Passport 2 Play Community Partner organization? Your first step is to complete the application process. The application is reviewed by a committee and you will be contacted if our team has any questions. The review process usually takes 2-3 weeks. If you are simply interested in bringing a school or daycare group to the Museum, you can use our Subsidized Group Admission program instead. What will my organization receive as a Passport 2 Play Partner? Qualified organizations who request to participate in the coupon program receive a reproducible sheet of free admission coupons that they may distribute to the families they serve. The Museum encourages you to use the coupons as incentives for positive actions but does not require it. The coupons are labeled with the organization’s name so that they may be tracked and accounted for when they are redeemed. The Passport 2 Play Community Partner takes responsibility for distributing the coupons and making sure they are not abused or distributed outside of the guidelines of the program. Each Passport 2 Play Community Partner organization must assign a staff liaison who will work with the Museum on receiving the coupons and managing their distribution. Organizations with multiple departments or divisions who would like to distribute coupons must apply for each individual branch with each branch considered a different Passport 2 Play Community Partner with its own liaison. NOTE Coupon Restrictions: Coupons are only to be used for family unit visits (meaning 1-2 adults plus 1-4 children). They may not be used for group visits. They may not be distributed electronically. 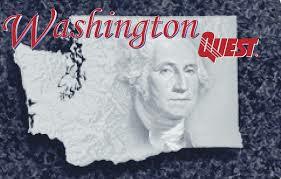 Coupons that are deemed to be distributed fraudulently will not be honored. We greatly appreciate the liaisons who manage the Passport 2 Play Partners relationship with us. As a thank you, we invite the liaisons and their families to the Museum for special events so that they can see the activities the families they serve are eligible to enjoy. Why does the Museum require an application process and select Passport 2 Play Partner organizations? The Museum’s mission is to bring to life the joy of discovery for children and their families through fun, creative, hands-on exploration of the world around them. Our mission is to serve ALL families and to provide children the opportunity to play and learn with the primary caregiver(s) in their life. As a non-profit organization, we are committed to giving away over $160,000 in services every year. We also pledge to our donors that we will make certain that we give away services to those who could not otherwise afford to visit the Museum and we will safeguard the integrity of this program. For those reasons, we introduced our Passport 2 Play Partner program. We look for like-minded organizations who will join us in our mission. We trust our Passport 2 Play Partners to select the families and to get free passes and more into the hands of families who need them the most. What is the difference between Subsidized Group Admission and Passport 2 Play organizations? Subsidized Group Admission is designed for groups who are taking a “field trip” to the Museum. It is usually a group of 10 or more individuals from a school or daycare who are coming together. Our Passport 2 Play program is designed for organizations who want to give individual families an opportunity to come to the Museum at a time of their choosing, as a family unit. If you are not sure which program you should apply for, drop us a note and we will help you out. How is Passport 2 Play different from Museums for All? In joining Museums for All, we simply extended our existing Passport 2 Play admission discount for Washington State EBT cardholders to include EBT cardholders from any US state. Hooray for new playmates!